Heat rippled through the darkness, washing over me. Forbidden and sweet, wrapping around me like a delicate thread which seemed to tighten with each second that passed. The thread pierced deep inside me, tying itself to my very core, like a tether. Pounding in the darkness—a steady beat all around me, a beat I knew should be inside of me, but it wasn’t and yet, the thrum was closing in, and with each hit came a wave of bliss that rolled over me, through me. The thread got stronger, tighter, changing from a delicate strand of silk to a link of iron chain, unbreakable and binding. The pounding got worse. Stronger, heavier, and I couldn’t decide if I wanted to hide or run towards the crazed tempo... Then the pain tore in as forbidden and pleasurable heat turned into fire, fierce and branding, blazing from my very core outward. A scream lodged in my throat. Oxygen burned like the flesh on my bones. Blistering agony consumed my body, which I was becoming more and more aware of as the darkness got lighter. I felt as though I was being pulled in half, pulled into a million pieces, stretching and stretching, knowing that any moment now, I would snap. I would break. I am not sure I can find the right words to adequately explain how I feel about this book and the series thus far. I recently started reading the Blood series and each volume thus far has proven to be better than the one before. As you can tell by now, BLOOD SECRETS was no different. The story kept me entertained from start to finish. I found the characters colourful. They kept me on my toes at every page turn. The author's detailed description made the story come alive, which made it easy for me to picture every scene.. Overall, I enjoyed this installment and I would recommend this series to fans of the paranormal/urban fantasy genre.."
"This is the second book in the Blood Series. I loved it! Elizabeth Morgan has written a fast paced and exciting sequel to what would seem to be a fantastic series. I love her fast paced writing style, and the story flow was wonderful. I have added her to my favourite authors list." 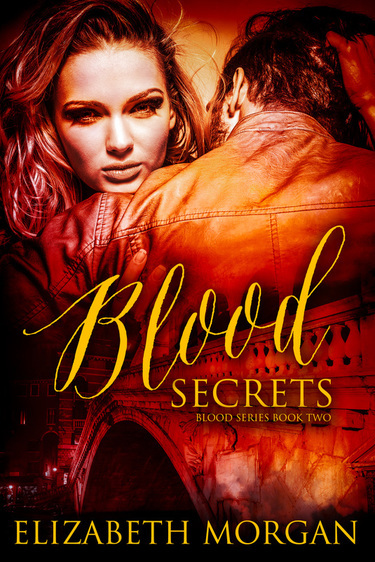 ""Blood Secrets is filled with so many twists and turns that it will keep you glued to your seat waiting to find out what happens next wondering what Heather is going to do. If you like vampires then you are going to love the Blood Series. 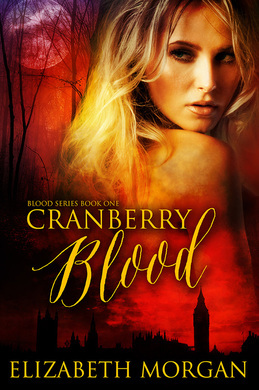 But I do suggest that you read book one Cranberry Blood first so that you will know what is going on and while you are at it I would also like to suggest reading the prequel She-Wolf as well. All three books are amazing. Trust me!" "Ryan’s grandmother has been leading Heather on one heck of a treasure hunt, and the prize is killing Marko, the vampire who’s plagued their family for generations. Except, the scheme is bigger than anyone ever imagined, and Morgan finally gives us the whole loaf instead of more torturous breadcrumbs, although those do continue for a time too. The bird’s-eye view exposed a myriad of facets, and the sum of all the threads was absolutely jaw-dropping." Brendan Daniels is No. 5 on Rabid Reads Top 10 Best Book Boyfriends of 2016!